Note: This experiment ended on July 15, 2016. 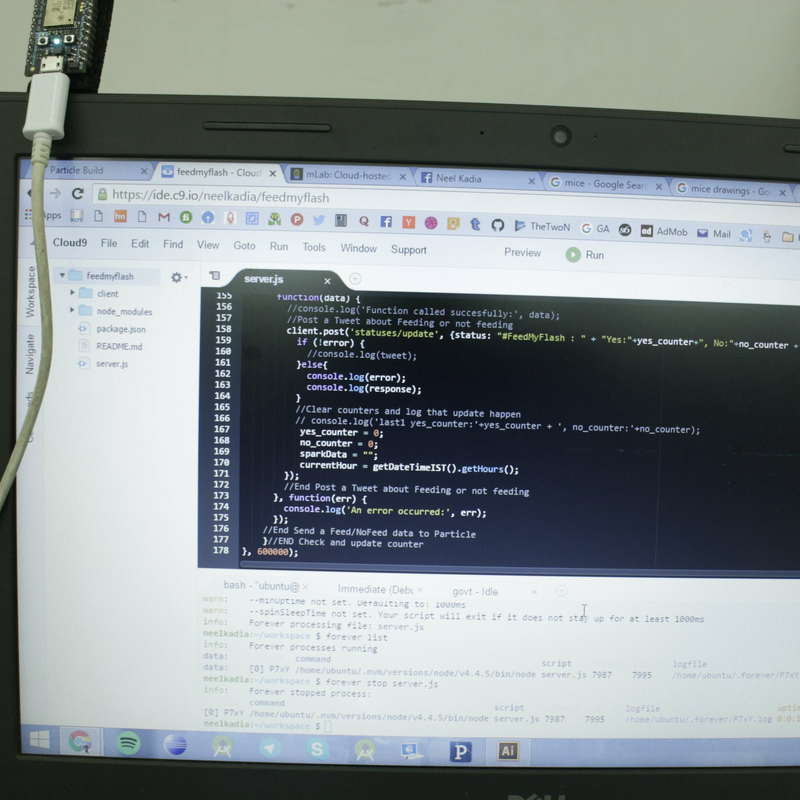 But still you can browse whole project. Hey Internet, I need your small help to feed my pet Flash, a small white rat. Hey, I'm hiking near Yuksom. Flash is at home. He needs water and food(peanuts,ants,grains) every 1 hours. Please, Please take care of him. A device I fit in his cage records every single tweet with hashtag (#FeedMyFlash). 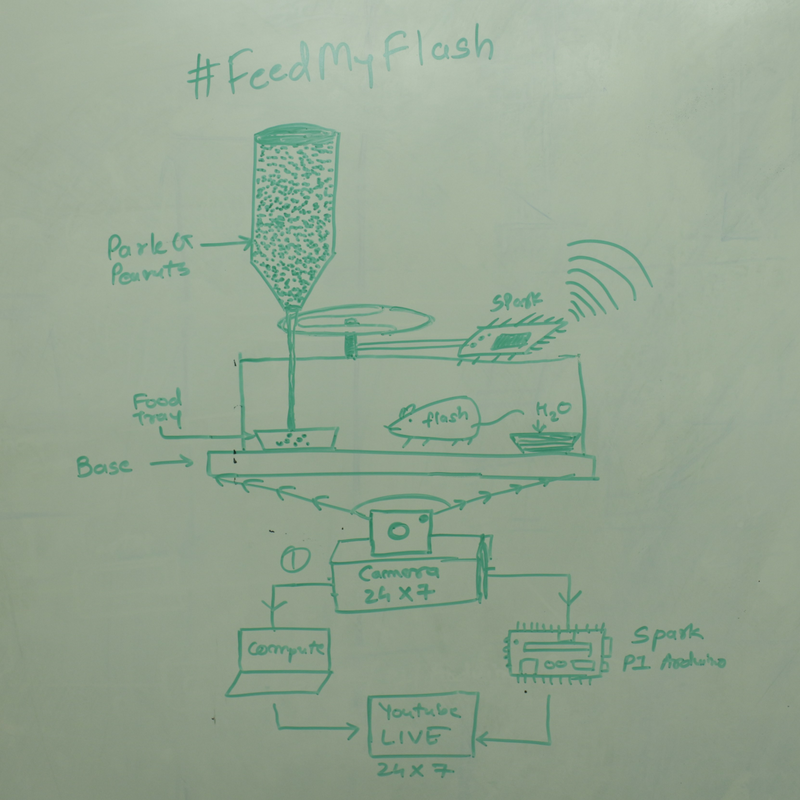 You need to just tweet (#FeedMyFlash Yes) to feed him OR (#FeedMyFlash No) to not feed him. 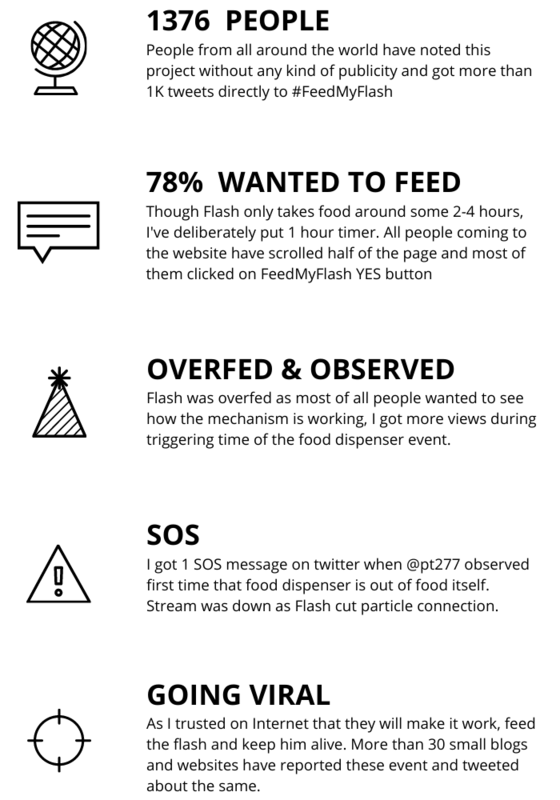 The mechanism I made and installed above his Home, counts all the tweets for every 1 hour and decides whether to Feed or not to feed Flash. You can also see the Live streaming of his feeding. Why didn't you take Flash with you for hiking? Actually I really wanted to take him with me but I was skeptic whether he might survive the low oxygen levels or the attacks from the wild animals there, so I decided to keep him safe at home. Why you can't leave flash on your Girlfriend or friend's house? I don't have any such friend who likes Rat. Sadly, I don't even have Girlfriend. You just need to check and tweet every two hours that there is enough food/water in the basket so that Flash is well fed and won't die of hunger. But I might be busy all day and I can check only a few times a day, is that OK? Ya, that's absolutely fine. That's the reason why I requested help of the whole Internet, I am looking for people like you who can just check the live feed, tweet and take care of him. I want to feed Flash this hour, what should I do? Just click the button below and tweet "Yes #FeedMyFlash"
What if there is enough food in the basket & I don't want to feed Flash this hour? Ok then just tweet "No #FeedMyFlash"
What should I do if Flash is in SOS? Please, press this Button only in an absolute emergency!!! If 10 people press this button in an hour, It will send a SOS SMS to me and the Animal Help Line. Please, please use it wisely. Flash sleeps around 5-6 hours a day that doesn’t mean he is dead, so use your head before pressing the button. In case I want to locate you? You can track me in realtime. I made a small android app which is installed on my phone, it uploads my location every 10 second to the below public url. I want to know how you made this thing? I will publish a medium article as soon as I come back from trip. I will be back in 10 days(probably by 15th July), till then Please take care of Flash. Anything excited about this experiment? I've started with making a block diagram how the whole system will work, understood what I need electronics, wooden cage and so on. I made a wooden cage from waste materials. 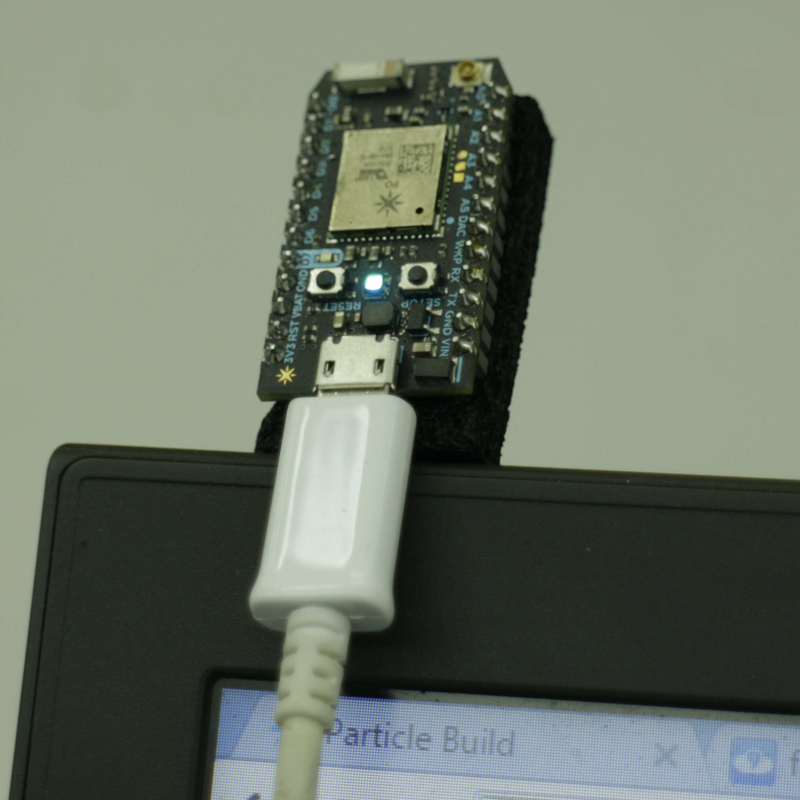 On other side I used Particle.io as a microcontroller, IFTTT to make communications easy much more easy, Youtube to stream the whole experiment live, MLab and Cloud9to save and analyze all tweets and finally Twitter to connect with Internet and people.